March 2015 marked Shareable Neighbourhood’s 20th event. Edmonton seems like a very new place, but the truth is that it has been a meeting place for thousands of years. What does it mean to belong to this place, for both Aboriginal and settler peoples? What do the treaties say about our relationship to one another – in the past and present? 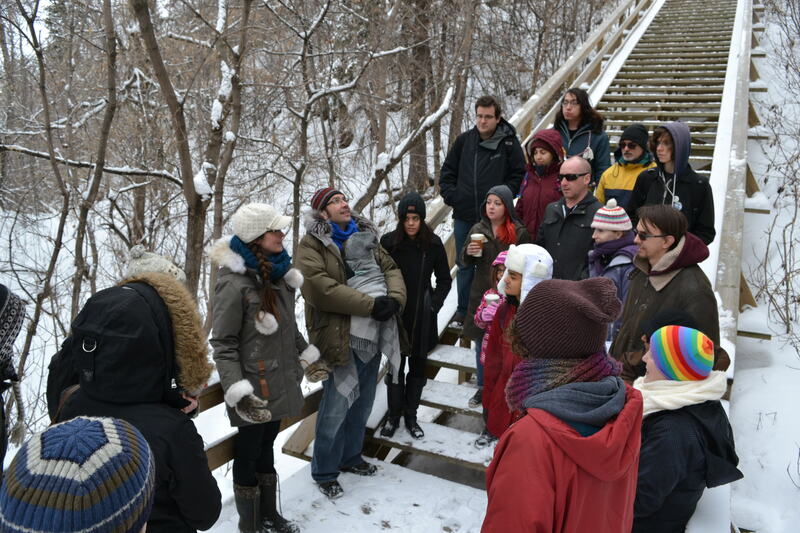 Local enthusiast Keavy Martin led a walk through the river valley introducing us to Aboriginal history on this land, the development of the treaties, and rights and responsibilities to each other that Treaty 6 gives us all as relations on this land. See photos from this event on Facebook.